Are you disappointed with the appearance of your car because your wheels are scratched, scuffed or kerbed? Want to stand out from the crowd? Or maybe you are looking to sell and want to make your car more appealing? TOP WHEELS SERVICE LTD are the people for you. We offer a full refurbishment service providing excellent durability, and unbeatable prices. 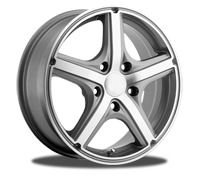 TOP WHEELS SERVICE LTD is a professional alloy wheel repair specialist. We really care, but don't just take our word for it, take a look at our testimonials here and "try before you buy." We pride ourselves on delivering a friendly, reliable and professional service, we are fully insured, and fully Health & Safety compliant. We are offering wide range of services from small scuffs and scratches repairs to full wheel refurbishment including straightening buckled wheels. With highly qualified, professional technicians and comprehensive public liability insurance you can rest easy and know that your pride and joy is in safe hands. Don't let the damaged wheels destroy image of your car, call or email now for your free, no-obligation quote. At TOP WHEELS we only use High Quality scratch resistant films which allows us to give you a lifetime warranty. We can proudly say that we've been trained by Ultimate Tinting, one of the most experienced people in this industry.